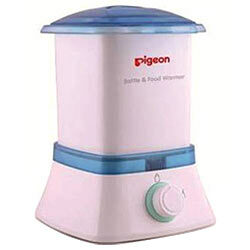 Deliver happiness by sending this Trendy Bottle and Baby Food Warmer from Pigeon to make others happy. This product is easy for mothers to warm babys food. Place nursing bottle or baby food into the warmer and it will warm up milk or food instantly.